It was (also) Meaghan’s birthday very recently, and keeping in check with being a lover of homemade gifts, I decided to make her something. Meaghan had expressed to me before that she wanted to paint a small wall in her apartment with chalkboard paint. Having such a busy schedule she has still not had a chance to do that. So I thought – for the mean time – I could make her one. My original thought (and still something I would like to do) was to find an old cupboard door, mark off a rectangle in the centre with painters tape and paint the inside of that rectangle. Unfortunately, I had no success finding this cupboard door (curse you! 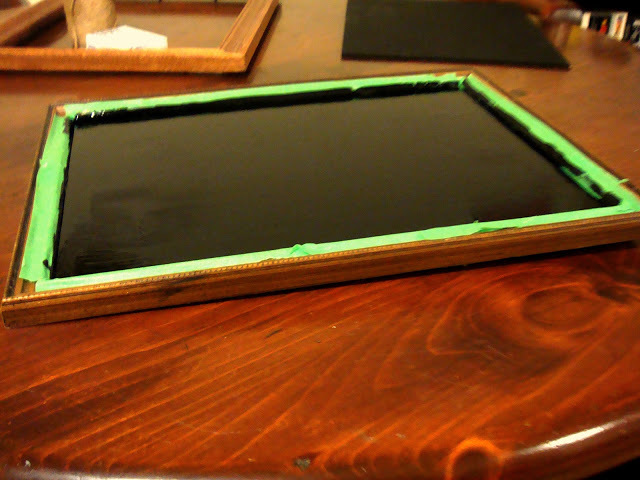 ), so I scrapped that idea and decided to use an old picture frame and just paint the glass. 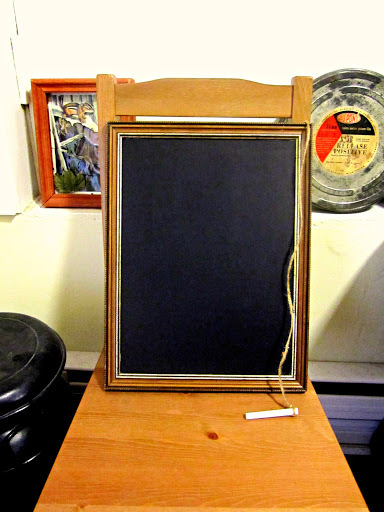 So here is a little tutorial on making a old picture frame into a new chalkboard! 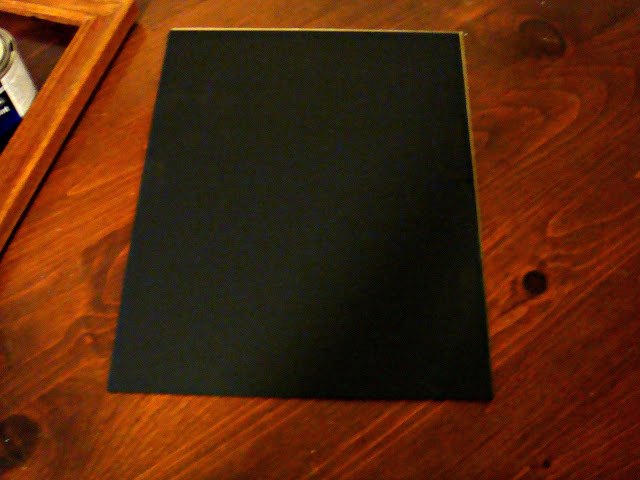 Chalkboard paint – easily found at a hardware store. I would like to note that chalkboard paint is not my (or your) friend. It is near impossible to get off your hands or pretty much anything, so take caution and wear gloves!! Painter’s tape – same as above! FIRST STEP: Remove the glass from the frame you have chosen. Make sure to wash off any dirt or smudges on the glass. If it is not possible to remove the glass, that’s where the painter’s tape comes in handy. In my case, I needed to do both. I ended up making two because I did not love the original one I made. If you have removable glass, simply put the glass on top of cardboard, newspaper etc, and begin to paint. If you cannot remove your glass, no worries! Mark off the edge of the frame with the painter’s tape. Make sure it is right against the frame, if not, you may end up peeling off some paint when it’s dry. Try to have your brush strokes going in the same direction for the first coat. SECOND STEP: After you have finished the first coat, let it dry for about 2 hours. Once it’s dry you can apply the second coat. 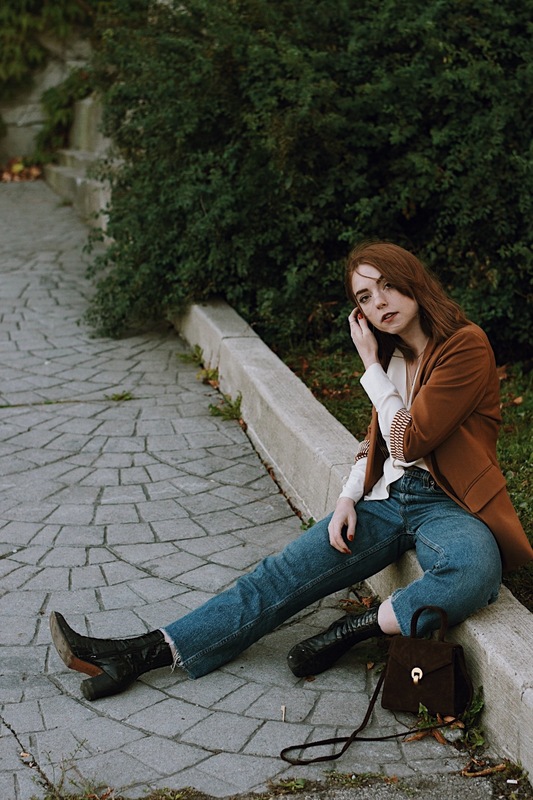 Do your brush strokes in the opposite direction of your first. This way the whole thing gets covered. Again, let it dry for 2 hours. 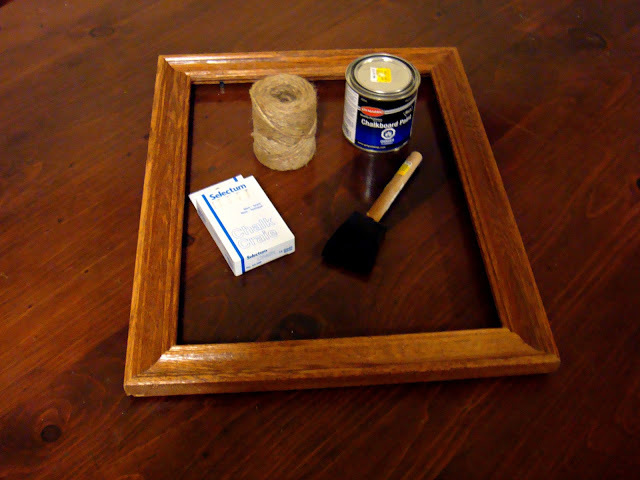 Once it is dry you can either put the glass back in the frame, or start peeling off the Painter’s tape. Be careful if you are using the tape. Slow and steady wins the race, you don’t want any paint chipping off. THIRD STEP: After I was done peeling off tape and inserting glass into the frame, I hammered 1 nail into the top right corner of the frame (it is helpful to know if this gift is for a left or right handed person). Once the nail was in place I wrapped some twine around it and tied it into a knot. I played around with the twine a little to make sure it would reach across the board with no issue, so she would be able to write anywhere she liked. After I did that, I cut the twine and with the loose end tied another knot around the chalk. And that’s it! It’s very easy to make (if you heeded my warning and wore gloves) and if you can find a really neat frame, it can be a great addition to your home décor! Such a cute idea!!! I pretty much love anything to do with chalkboard paint! We agree! Chalkboard paint is so fun for making crafts!